This is the first in a series of exercises I will share that may not be well-known or commonly done, but are highly recommended as part of a well-rounded functional fitness routine. First up is the Goblet Squat. Dan John, who happens to be one of my favorite strength coaches and authors, has long been credited with developing the Goblet Squat. As simple as the squat movement may seem, it’s often one of the most butchered strength movements. Proper mechanics are essential for an effective squat but, unfortunately, people seem to want to go directly into the loaded barbell back squat long before they’re ready for it…and things get ugly real fast! Just go into any high school weight room and watch kids try to squat – bar loaded-up, heels coming off the floor, knees collapsing in, back rounding, partial range of motion. Not good! Unfortunately, a lot of our adult clients aren’t any better….and some are even worse! Enter the best squat teaching exercise around….the Goblet Squat. The simplicity of the Goblet Squat is what makes it perfect for almost any fitness level. It’s actually hard to do this exercise wrong, and the benefits will carry over into many other areas. In fact, after incorporating Goblet Squats into my own personal workout routine a couple of years ago, I noticed much more mobility through my hips and thoracic spine, more strength through the glutes, and better overall performance on all of my lower body exercises. They are now a staple in our programming for both our adult and youth clients. 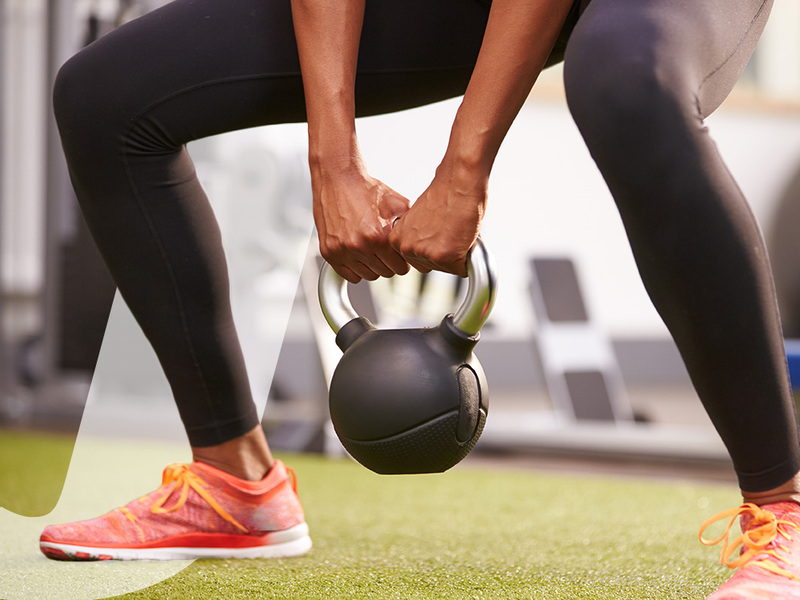 The Goblet Squat can be done with a kettlebell or a single dumbbell. When doing it with a kettlebell, grab the bell by the handle and slide your hands down the outside of the handles. This is often referred to as “taking the bell by the horns.” Squat down by sitting back and down between your heels. • Make sure your knees line up and stay lined up with your toes. Your knees must point the exact same way your toes do through the whole squat. Toes should be slightly turned-out. • Keep your heels on the ground and your shins vertical. • Keep your back straight – do not allow your tailbone to tuck under at the bottom of the squat. • Keep a “big” chest, especially at the bottom. • At the bottom, place your elbows to the insides of your knees without losing the alignment of your back. • Your feet must stay firmly fixed to the ground. • Make sure when you ascend that your hips and shoulders come up at the same time.